The holidays, at least the two main events in our house- Thanksgiving & Christmas, are over. Whew. The hostess & chef version of me are both letting out a sigh of relief. I can take a break, for the most part. No more cooking marathons for me! At least until the next major family event. While I love our traditional ham and turkey, I am looking forward to several meals in between before I defrost my leftovers and can get excited to enjoy them again. With that in mind, we’ll be switching things up and going with a meaty, beefy dish for dinner tonight. 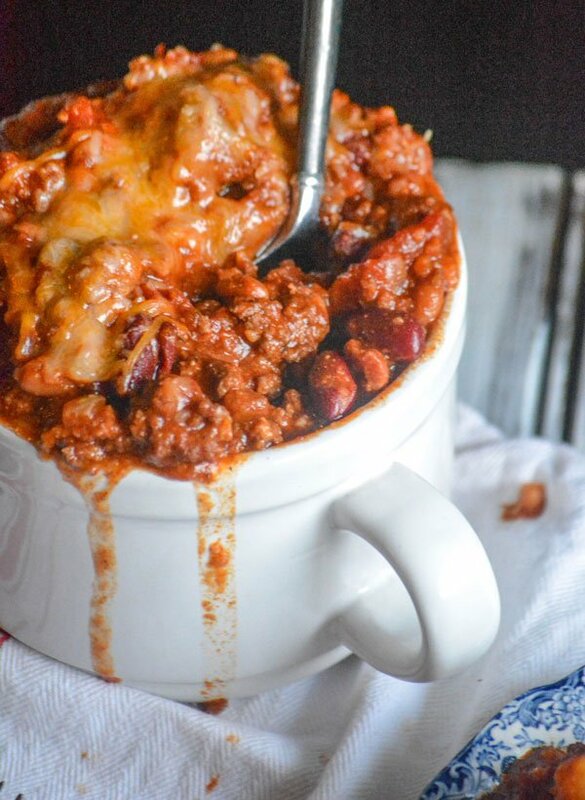 Namely this Sweet Heat Chili. It’s a dish best served piping hot, especially on a cold Wintery day, or night. With the high here today hoping to reach in the low 20’s, I’d say that it’s exactly the thing the local meteorologists would order! Also, in lou of needing a break after the hefty, marathon meals of the past couple weeks- this one dish dinner is quick & easy to whip up. Then just set your stew pot to simmer, and let time do it’s work as the flavors marry and blend in a beautiful, flavorful union. 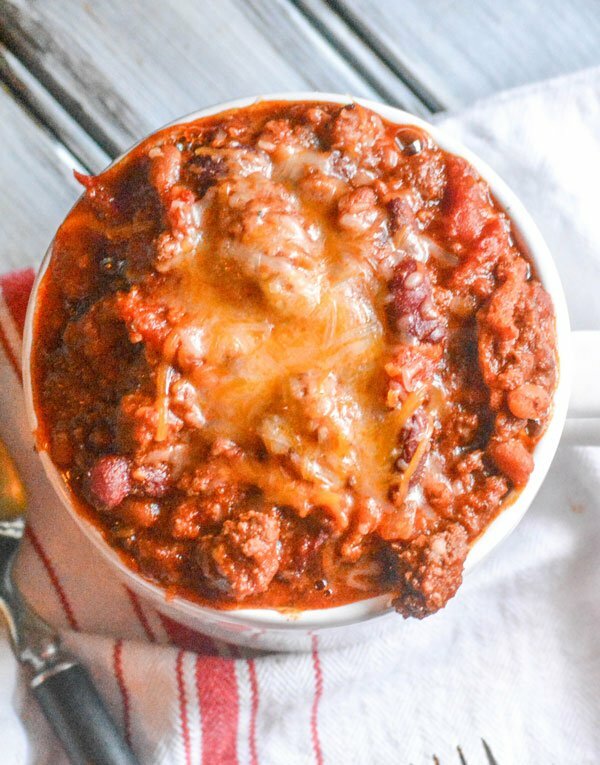 Chock full of hearty bits of ground beef and savory beans, each bowl of this Sweet Heat Chili features a blend of sweet & spicy flavor that is magic by the mouthful. 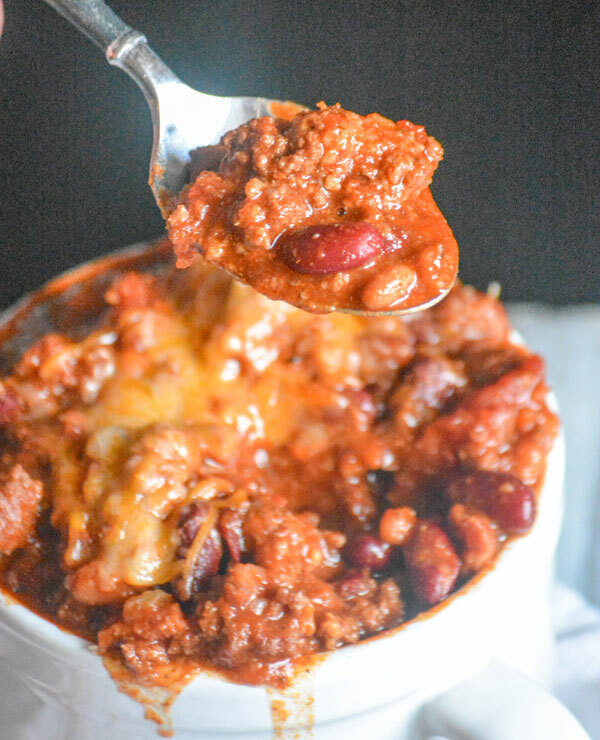 Whether as a delicious dinner the whole family can warm up and fuel up to, or as a Game Day favorite that’ll keep even the coldest of tailgaters warm- ladle yourself a big ol’ bowl, because it’ll never disappoint. 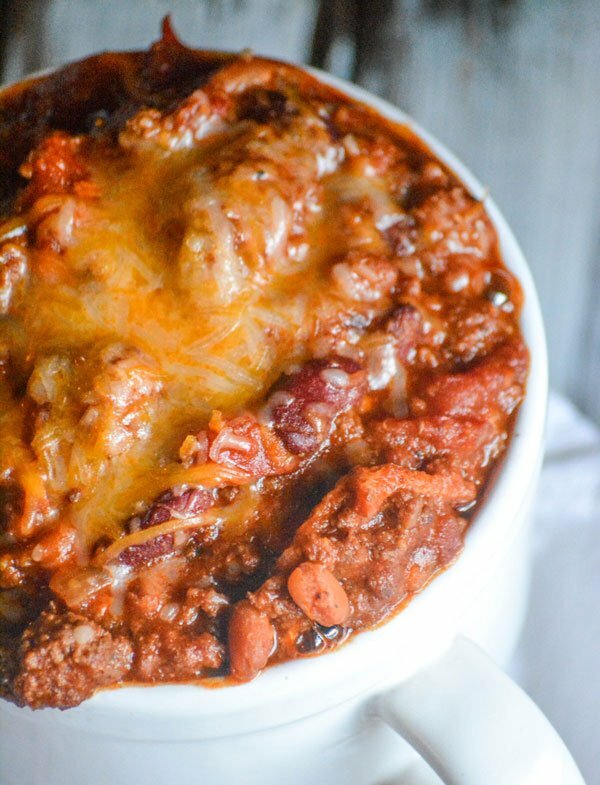 A hearty chili that beautifully blends a mixture of sweet and spicy flavors in every bowl. In a dutch oven, or other large soup pot, add the ground beef, onions, and garlic. Brown them over medium low heat, stirring occasionally, until the meat's cooked through. Stir in the rest of the ingredients until evenly combined. Bring the chili to a full boil. Reduce the heat to a simmer, cover, and stirring occasionally- let the mixture continue to cook for 30 minutes. 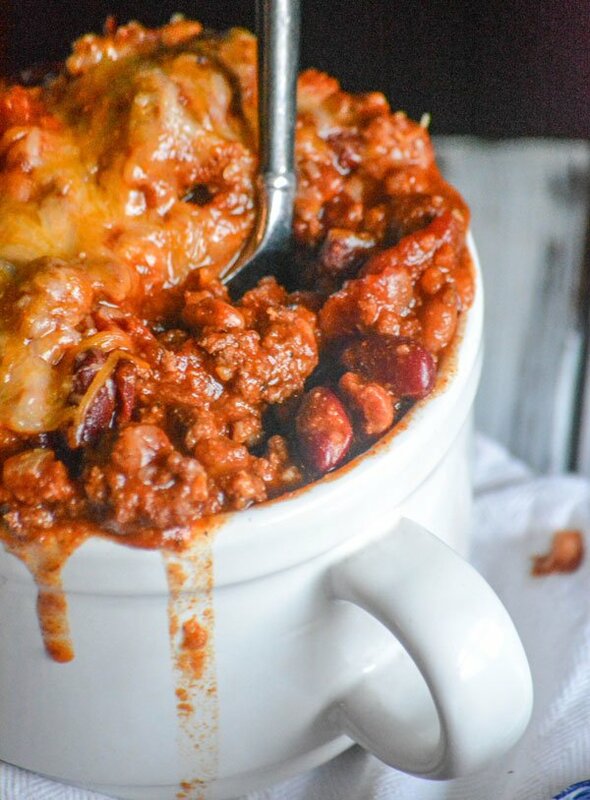 Ladle into bowls, top with your favorite fixin's (we like shredded cheddar, sour cream, and crackers or cornbread), and enjoy! oh my gosh, this looks so good! Can’t wait to try it! This looks yummy – perf for the cold temps! So if I make this for the crock pot all I have to do is mix it up after the hamburger is browned and let it cook for a few hours on low to heat through and combine flavors right. Cook the beef mixture as directed, and then when you’d throw everything in the soup pot- just throw it all in the crock pot instead. Let it cook for a few hours to merry the flavors and you’re good to go! Your post is making me hungry for sure. The chili looks amazing! I am in the process of making this and just realized I do not have turmeric. Is it that big of a deal if I leave it out? No, you can omit it. 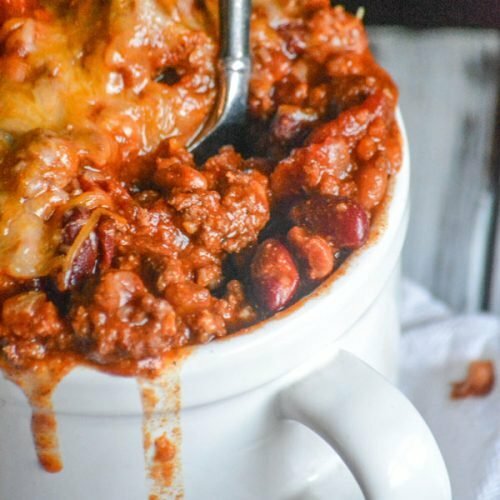 It’s not essential, just something I always add to chili since it adds a bit of color. Best chili ever! could use more meat and beans though. Thanks, and luckily it’s easily adaptable!